Due to the roaring success of last year’s fabulous 1920s themed weekend, The Great Gatsby Fair, held at Bexhill-on-Sea, will return for the second year. Held on the seafront, the event promises fun and high jinks for all the family with a vintage fair, Jazz bands, classic cars and vintage bikes, plus dance competitions, Morris dancing, Children’s entertainment, fun fair, food festival and a Brolley Parade. The fun begins on Friday evening with The Great Gatsby Ball, held in a huge marquee with a dance floor on the Metropole Lawns adjacent to the iconic De La Warr Pavilion. Your compere, Viv The Spiv, will bring the evening alive when he introduces the fabulous Benoit Viellefon and his Orchestra – regulars at Ronnie Scott’s – and DJ The Swinging Detective who will play throughout the evening, whilst you enjoy the bar and buffet. 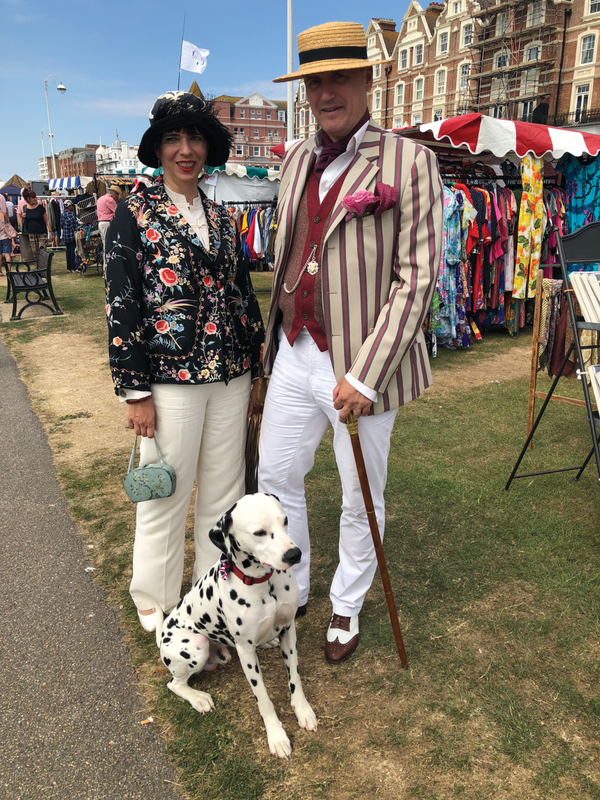 Saturday and Sunday will see some of the best vintage traders in the UK coming together to trade along The East Parade seafront from 9am until 6pm, organised by the well-established event organiser, Pop Up Vintage Fairs London. There is more entertainment throughout the weekend with The Big Charleston Challenge Dance, a Tea Dance with The Swinging Detective, plus prizes for the Best Dressed. Then it’s back to the marquee for Saturday night for yet another evening of frolics for The Vintage Swing Night, with Dylan Kirk & The Killers and DJ Gypsy John. Finish off the weekend with The Jazz Breakfast in The Metropole Lawns Marquee, then listen to a variety of bands before the Best Dressed Peaky Blinder and Best Dancer prizes will be awarded. Be sure not to miss out by buying your tickets to the evening shows online now.